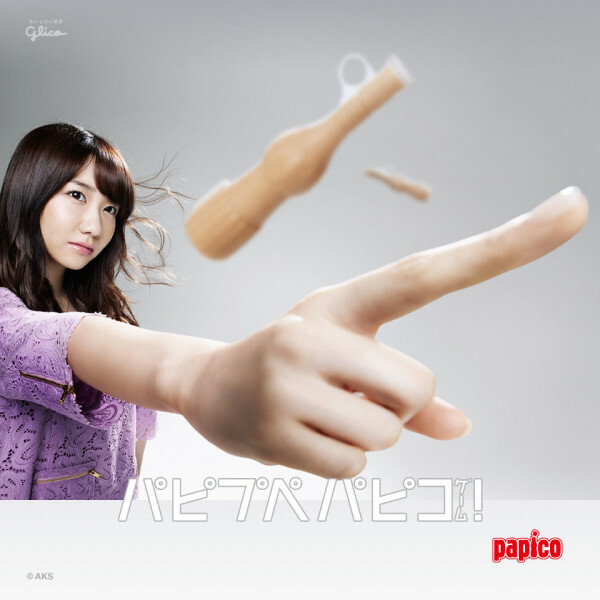 Earlier in the day, new AKB48 Glico Papico CMs was revealed at a press conference. This time, the CM featured 2 members from each AKB48 team. All the members were at the press conference except for Yukirin, Mayu and Nagisa. The CMs feature a word phrase game in the dressing room where members have to say various phrases relating to “PabiPupePapico”.